Built by professional a web development agency after in-depth research and analysis into understanding the challenges and features consultants, big industry and businesses needed from a website. 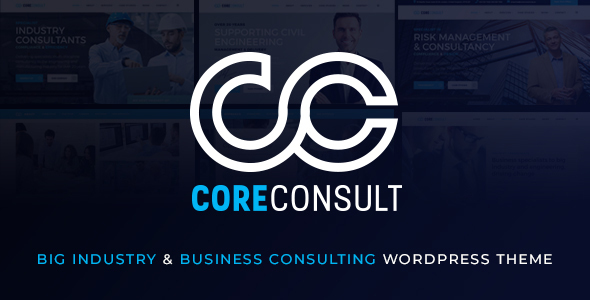 Coreconsult has been built to deliver all the solutions required to launch a successful consultancy business, big industry or corporate website. With marketing features to generate leads from downloadable assets, appointment bookings for staff and consultants, plus a careers and vacancies section to develop your staff. Coreconsult delivers the perfect user experience for website visitors and the administrator that builds the website. 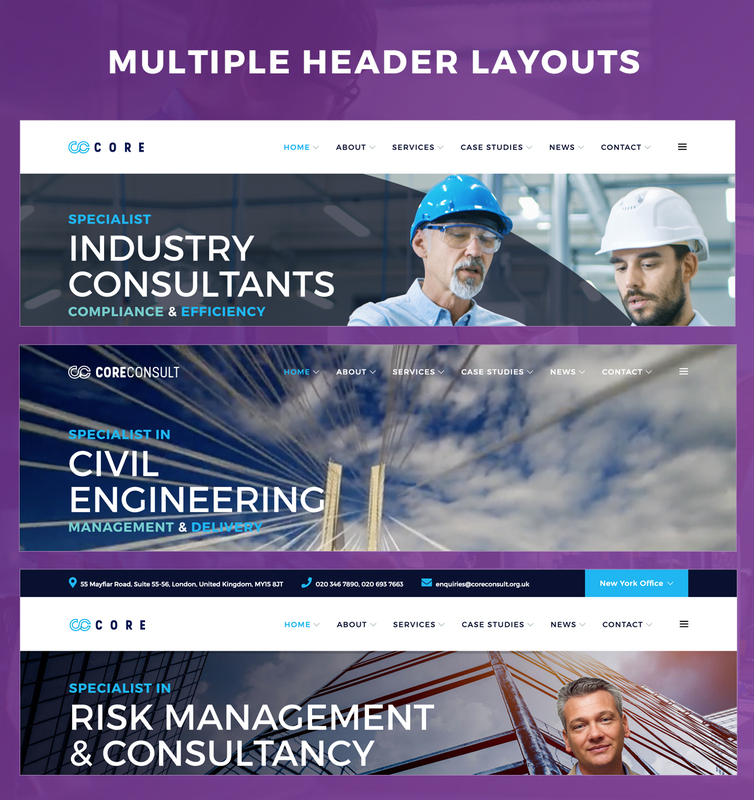 With multiple header styles, 30+ demo layouts and pages, case studies, recruitment features, appointment bookings, plus the latest design trends and many more features. Coreconsult will allow you to grow your business and consulting business.